The SLA Roadmapping Workshop with the first 7 pilot families has taken place at the ETSAV School of Architecture (UPC) at Sant Cugat del Vallès. The families got to know different ways to reduce their Footprints. They created specific roadmaps of how they want to change their lifestyles to achieve smaller footprints. In the next two months they will begin to implement these changes. We wish them lots of fun and success! 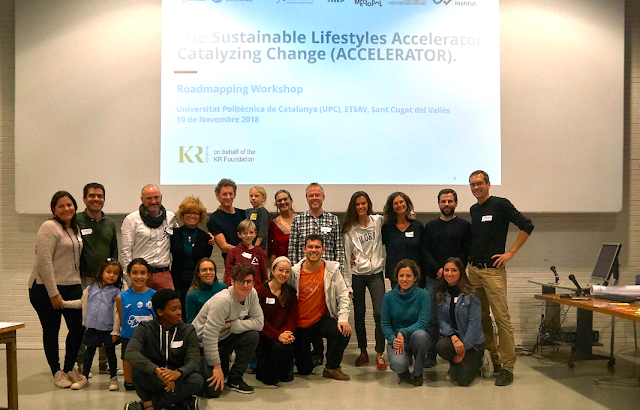 España roadmap, Sant Cugat del Vallès, suslife, Sustainable Lifestyles Accelerator. Enlace permanente.